In an environment of three types of digital music listeners, complete with dilemmas, Slacker Radio is “trying to make a quirky music festival with all those people invited” according to Slacker’s Vice President of Marketing Jonathan Sasse. He’s not kidding, either. Today Slacker Radio announced Slacker Premium, integrating on-demand toggling with Slacker Radio. The new service grants access to an on demand catalog rivaling Rdio and Mog, with eight million tracks and growing. Sasse confirmed today with the Appeal that deals were solidified with all four major labels, IODA, The Orchard and “a number of other indies and aggregators” which provide the catalog of more than eight million tracks available today. Slacker’s listener base is already twenty five million strong, so the talks shouldn’t be too hard. With the launch of Premium, Slacker Radio becomes the first music service to start off as web radio and grow to offer three complimentary tiers of service, one that includes recognition of the need for on demand toggling to satisfy real listening habits. Listeners can also bill their subscription to their phone bill. First, Slacker is free to use in its basic form and competes directly with Pandora. Slacker Radio Plus is the second tier, and provides an ad-free experience much like that of Pandora One, working on all major smartphones. But the third tier (Slacker Premium) is completely new to the industry: human and machine curated radio with on demand toggling, playlists and shareable experiences. Slacker first launched in 2007 at South By Southwest, and has stayed true to their original vision of ubiquitous music over a smart device over the last four years, while still making a few pivots. In fact, they used to build the hardware which made their software run, to make up for zero Smartphone availability in the USA at the time. “In 2007 a lot of the components needed for our vision didn’t exist so early on we had to invent our own hardware to do it,” Sasse told me. “Most of us here have been in and around the industry for a long time. To do this kind of service and tackle other challenges you just can’t go out and take an adversarial position against labels. It’s their business, and this is their future. It took Slacker about a year to hammer out Slacker Premium, which isn’t that long considering smaller rivals have existed for much longer. “Frankly, when you look at the services that exist, there’s a certain amount of thinking that these pieces are hard, but it’s just a matter of grinding it out, and we’ve been working on it a long time. We started digging in almost a year ago,” he told me. If you want to know what internet radio charts look like, the process is clearly underway. Charts help artists connect with their audiences in the right places. Sasse confirmed Slacker reports spin counts and activity to Nielsen, Big Champagne and other chart services, enabling everyone involved to connect even more with their audience. With three tiers, you have some choices if you want to check out Slacker just to see how it works. 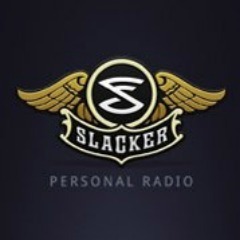 The new Slacker Premium Radio tier is available now on the web and on new applications for iPad, iPhone and iPod touch and supported Android and Blackberry smartphones. Slacker Premium Radio is available starting today for $9.99 per month at Slacker.com or billed directly to your Verizon Wireless, T-Mobile USA or AT&T account from within the Slacker application on Android and BlackBerry smartphones. Slacker Premium Radio includes all new features, as well as all of the features available to Slacker Basic and Slacker Radio Plus listeners. For a limited time, a free subscription to Slacker Premium Radio is available by visiting www.Facebook.com/SlackerRadio.